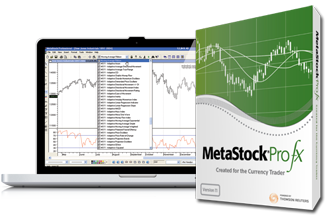 MetaStock is a feature-rich, professional-level charting program for traders of all levels. Its core charting capabilities have made it an industry standard, but if offers much, much more. 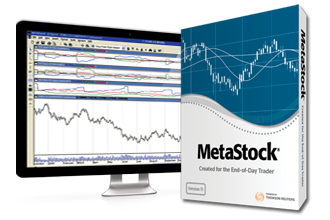 The MetaStock Powertools feature allows you to scan the market, back-test your strategies, and even reference the advice of experts. 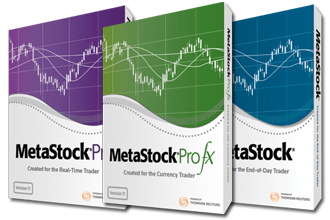 Planning to get MetaStock now? You’ve made a great choice, so here’s all the hardware and a system information you need to ensure the software functions properly. 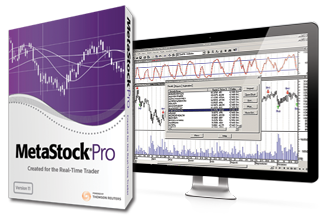 Check out the system requirements for MetaStock EOD, Pro and Pro Fx below. If you’re running on a Mac, click on below for information on using MetaStock on Macintosh systems. Equis International, the creator of MetaStock, is a wholly owned subsidiary of Thomson Reuters—the world’s premier global information company, which provides information tailored for professionals in the financial services, media and corporate markets. Equis also provides graphics and technical analysis components to the Thomson Reuters product line, which serves professional traders in the world’s largest financial institutions.